Spas and Hot Tubs require proper Water Care. 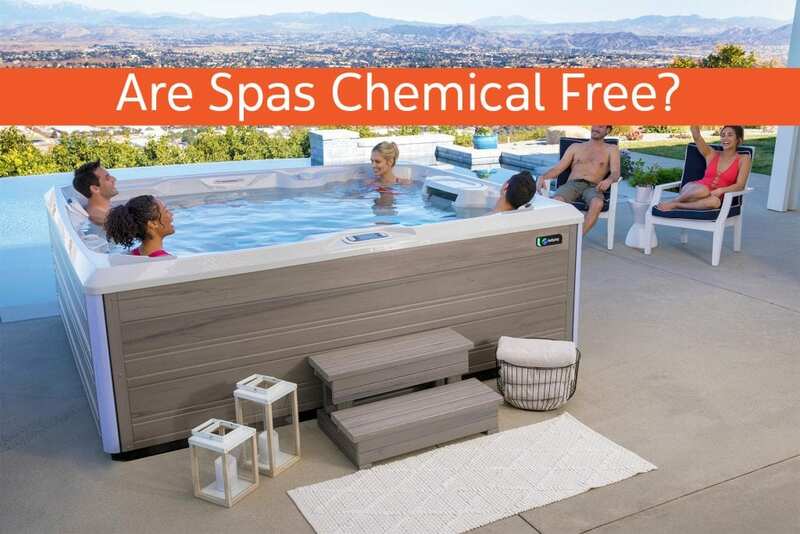 So, are spas and hot tubs chemical free? In a word, no. Although some hot tub and spa dealers will try to convince you that your hot tub doesn’t need water care or chemicals to function, water care is essential to maintaining a healthy environment in your hot tub. At The Spa and Sauna Company, we are proud to offer a variety of water care options that are suitable for your individual needs. All of the Water Care Options we offer here will kill germs and bacteria, so the best choice is the one that makes the most sense to you, either for your budget or your skin sensitivity. We also offer free water testing services at all 3 of our locations, so you can have a Water Care Professional check that the chemicals in your hot tub are at the proper levels. Just bring a sample of your hot tub water in a clean container to any of The Spa and Sauna Company’s locations. If your chemicals aren’t at their optimal levels, we are here to offer advice and products to help you adjust them. The hot tub you purchase will determine in part the water care you choose OR if water care is an important consideration for you, the water care choice you make will determine which hot tub you buy. At The Spa and Sauna Company we offer 4 brands of hot tubs, Hot Spring, Sundance, Caldera and Freeflow. Each has different options for water care. We also use SpaGuard Water Care Products to supplement those systems. This includes items such as Shock Oxidizer and Enhanced Shock, one of which will be required for your hot tub cleaning needs. As a starting point for water care, minerals should be used on all hot tubs and work in conjunction with other sanitizers. SpaGuard Enhanced Shock is a combination of oxidizer, sanitizer, and water clarifier. This unique water care item is exclusively carried by The Spa and Sauna Company in the Reno area. Let’s start with Hot Spring which has a Salt Water System available, which provides a lower chemical, more natural soaking experience. 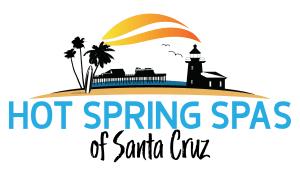 Hot Spring Spas in the NXT, Highlife and Hot Spring Collection are available with the ACE Salt Water System. The ACE salt water system creates active oxygen with ACE diamond electrode technology. That active oxygen combines with salt to create chlorine. The ACE system requires less hands-on time to manage your water care. It also is environmentally friendly and offers softer, cleaner water. With this system, we recommend using 1 TBSP of SpaGuard Enhanced Shock per person, upon exiting. As an alternative to the ACE system, owners of a Hot Spring Spas with an Ozone System can choose the EverFresh system, which reduces the amount of chlorine that needs to be added. It also includes minerals that make the water softer. With this system, we recommend using 1 TBSP of SpaGuard Enhanced Shock for each person in the hot tub, upon exiting. Hot Spring Spas without an ozone system can use SpaGuard Water Care and Freshwater AG Plus Silver Cartridges. This is a more manual system for hot tub cleaning. SpaGuard Products can be used to sanitize your hot tub, reduce stains, clarify your water, test your water and sanitize your water. Sundance Spas can use the SunPurity Silver Cartridge. This cartridge disinfects, prevents algae and clarifies water. Using this more natural option will reduce the amount of chemicals you need. All Sundance Spas are equipped with “ClearRay,” a UVC (Ultraviolet) Sanitation System. UVC light wavelengths are used for sanitizing water. Upon exiting the hot tub, you will want to add 1 TBSP of Enhanced Shock per person for sanitizing purposes. For Caldera Spas, we recommend using the @Ease In-Line SmartChlor cartridges which lasts at least a month. The mineral cartridge lasts 4 months. When used with the Monarch® CD Ozone System, it provides Caldera’s most effective water care system. This system doesn’t over-chlorinate the water or use excess product. It also prevents pH from fluctuating, meaning less dry itchy skin and less wear and tear on your spa’s covers and pillows. With this system, you shock your hot tub monthly, instead of after every use. You will use SpaGuard Shock Oxidizer once a month. Never use Enhanced Shock with this water care system. Freeflow Spas are a more basic spa, that doesn’t offer ozone or salt water systems. Freeflow Spas from The Spa and Sauna Company come with an @Ease Floating System. The ball floats inside your hot tub. It uses SmartChlor Technology to reduce the amount of chlorine and the amount of Shock Oxidizer needed. When the SmartChlor runs out, the ball flips the other side to alert you. With this system, you only need to use Shock Oxidizer once a month. Additional systems are available if the options listed above do not fit your needs. 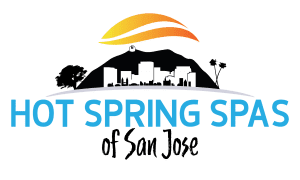 All systems require shocking the hot tub (either after every use or monthly, depending on the water care system), testing the water balance weekly and cleaning your filters monthly. You will also want to drain and clean your hot tub 3 times a year. Yearly, you should purge the hot tub plumbing lines to get rid of buildup. It’s not too complicated once you find a routine that works for you. By maintaining your spa with a small amount of chemicals, you can enjoy a healthy, clean, hot tub experience for many years to come.